Headlamp kit with two headlamps with curved glass and E Mark. 'Lucas H4' moulded on the centre of the glass. Comes with rear dust covers. 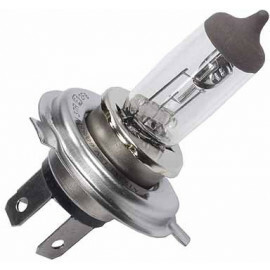 The supplied bulb holderon the units with pilot uses a BA9s single contact bayonet type bulb.